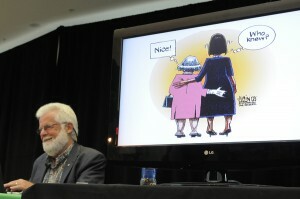 Terry Mosher’s presentations are always informative and entertaining. 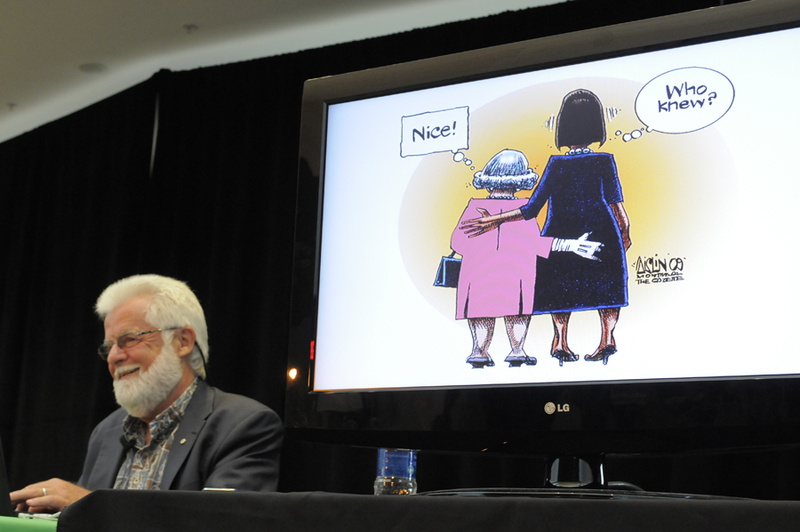 Covering a wide range of topics such as the role of humour in society, the history of political caricature in Canada and cartooning as a communications tool, Mosher is equally at home on radio, television and stage. Terry makes appearances on major Canadian TV and radio news and analysis programs, and is also in demand as a speaker at literary events and professional gatherings.